What are the types of sheds? Wood sheds: If you want to make your own shed from scratch, you will probably be building a wood shed. This material is the most common type of shed. It has good strength and a great appearance that fits with the trees and bushes in your backyard. But the cost of building your own shed can be pricey, and wood materials are prone to peeling, rot and decay over time. Metal sheds: The metal material provides the strongest and most durable type of shed. 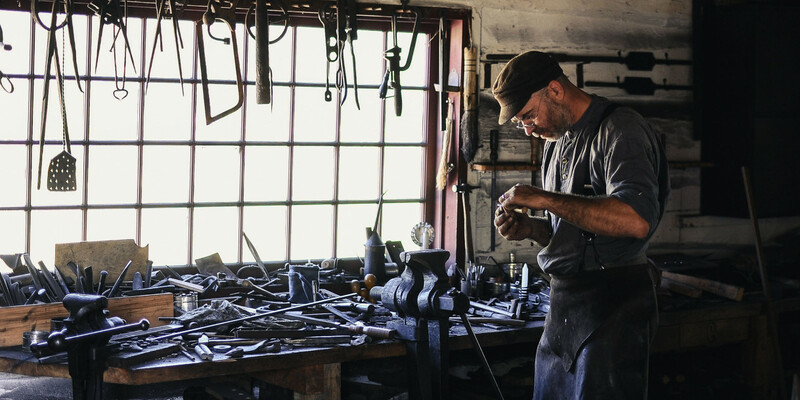 If you are using a shed to store heavy duty items, then a metal shed is the right fit. But the design of a metal shed often makes it look dull, and the cost of metal sheds can be quite expensive. Plastic/resin sheds: If you want a good shed for the money, a plastic or resin shed may be what you need. These plastic resin sheds are not as durable as wood or metal although certain brands have proven to withstand storms with high-speed winds. Since these sheds are made from plastic, they often have more affordable prices compared to wood or metal sheds. The designs look good, and you can find many pre-built kits that are ready for you to assemble in your backyard. Regardless of the type of shed you choose, you ought to build a foundation for the shed. It’s possible to build a shed on level ground alone, but a wood foundation or concrete slab gives extra strength and stability. With a strong foundation, you can enjoy your shed for many years to come. What are the best storage sheds to buy? Living in a clean, neat and comfortable home is the dream of many families. As your family grows with the addition of new members, it makes sense that the amount of your belongings also grow. After some time, it feels that all these belongings need their own space inside or outside your home. Those are just some ideas on how you can use an outdoor storage shed. If you have a shed that is big enough, you can use it to store lawn mowers, snow blowers or generators. I’ve seen one person who uses his shed for storing a telescope in a makeshift observatory. You can get creative with how you use your shed, but the question that is on your mind right now is what is the best outdoor storage shed? There are many brands that offer their models of the three types of sheds above. If you’re wondering who makes the best wood, metal, or plastic storage sheds, then take a look at our brand and price reviews below. Suncast is one of the most popular brands of shed manufacturers. 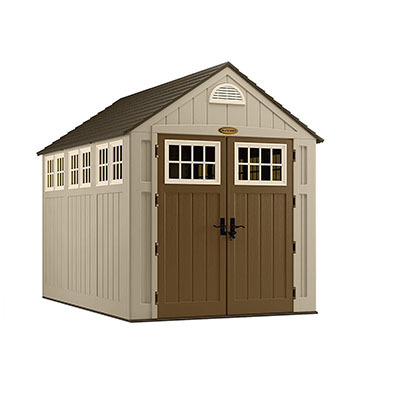 Among their best-sellers is the Alpine model that is one of the best-looking sheds. It takes as little as three hours to assemble this shed. The 7 x 10 size gives you 497 cu. ft. of space – enough for you to store a riding lawn mower inside the shed. It has a total of fourteen windows on all the walls and looks like the classic American barn. One of the strongest features of this shed is that it can withstand extreme weather conditions, even surviving winds up to 70 mph! Though the windows make this shed look beautiful, it can be a pain to install. Many buyers of this shed have a tough time installing the window panels correctly. How long does it take to assemble the Suncast model BMS8000? According to the official manual, it’s recommended for two persons to assemble this shed. Assembly should take around 3-4 hours, not including the construction of the foundation. It’s recommended you follow the guidelines to create a wood foundation, or create a concrete slab of your own. One user recommends you buy a metal base, lay treated plywood on top of it and use it as the foundation. For easy assembly, make sure you have all the parts necessary before you begin construction. The pre-assembly phase of building the shed is important as it makes it easy for you to build the shed. You can assemble this shed alone as many people have but having a friend or partner help you is better. Once you have pre-assembled the parts, the construction of the shed is easy. One note about the windows: the windows do not open, and you can’t see through them unless from up close. You can replace the tinted glass with fine mesh if you want better vision and sunlight in the shed. What are the customer reviews of the Suncast Alpine shed BMS8000? This shed receives one of the highest ratings in our review. The Suncast brand is a popular brand used by many people. There are some issues during assembly that may cause you inconvenience, but once the shed is built it is a good looking and sturdy shed. Some customers report that there are missing pieces upon delivery. The good news is that the company is great and fast about sending replacement parts so you can immediately build this shed. The Rubbermaid Big Max is a decent choice for an outdoor storage shed. It’s not as big as the Suncast Alpine 7 x 10, but it still gives you 332 cu. ft. of capacity. 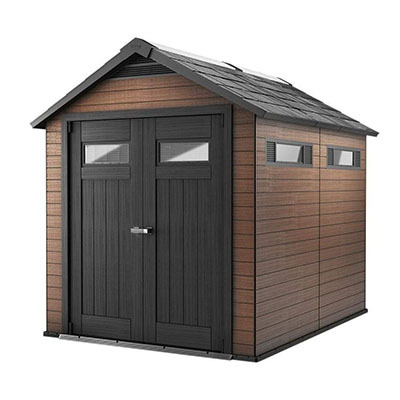 The trade-off is that you can buy this shed at a more affordable price than the Suncast Alpine. You can assemble this shed in two and a half hours by yourself. Although it’s small, this shed is quite sturdy – strong enough to survive a hurricane storm. The downside to this shed is that it has no ventilation. Some buyers report that the shed warps when under hot weather. Even so, it doesn’t get hot inside the shed when it is warm outside. This shed comes with a 10-year limited warranty. 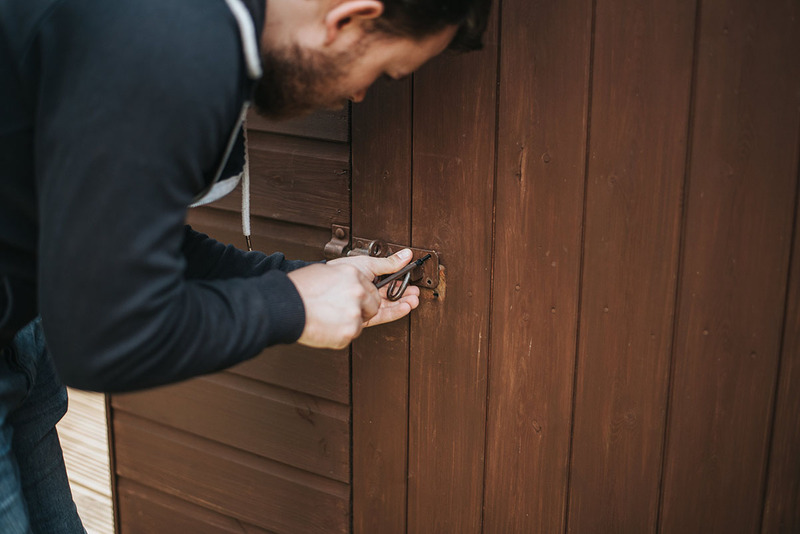 With this warranty, you can feel safe knowing that your shed is expected to last at least ten years in your home. Some users report that the shed warps when in the heat of the sun. As a tip, you can build a solid foundation by building a wood or concrete base. According to official Rubbermaid guidelines, cement or patio surface, or a treated wood platform is recommended. If you are concerned about the temperature in your area, perhaps a metal shed would be a fitting choice. 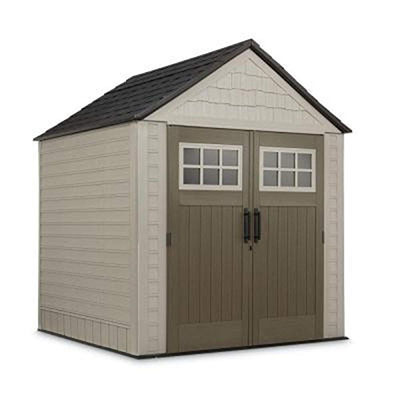 If you’re looking for a shed that looks great in your backyard, then the Keter Fusion 759 is your choice. Not only does it have a good looking appearance, but it’s also made of wood and plastic composite (WPC). The wood and plastic composite give this shed the rich texture of wood and the weather resistance of plastic. Although this shed is not the biggest one regarding size, you still get enough space to stretch your arms to the ceiling and store many items. There are not many downsides to this shed, except for this one minor inconvenience. Buyers of this shed report that there is an unpleasant odor from the material. Sometimes new home appliances do have a distinctive scent, but it can go away once you clean it and give it some time. The one we review here is the 7.5x9 ft size. The 759 shed has a padlock so you can lock it to keep your precious belongings safe. You can store your bicycle, lawnmower, and other valuable tools and items in the shed. This shed has ample lighting and ventilation, so you don’t have to dig around looking for your tools in a dark, damp shed. It comes with a 10-year warranty, so you have protection for a long time. How to assemble the Keter Fusion shed? According to the official Keter site, assembly should take two people around 5-6 hours. The assembly of this shed is slightly different from other sheds, especially assembling the walls. What do the customer reviews say about the Keter 759? Another customer reports that they were able to fit plenty of items into the shed: a snow blower, a mower, deck furniture, a leaf cooler, a wheelbarrow and even more – and they still have extra space. When is the right time to buy a shed? The sheds above are our top picks to show you the best brands and models on the market. If you want to save money, the best time and place to buy a shed is during a discount or sale at a store. You can buy from a local store near you or from an online store. Both local and online stores often offer fast delivery to your home. But the benefit of purchasing from an online store is that you can browse many brands and models and read positive and negative customer reviews without leaving the comfort of home.